Interview with Patriarch Sako with Zenit.org where you can read the whole excellent interview. Q: There are calls for American intervention to stop the advance of ISIS. What do you think? Patriarch Sako: No. I don’t view it like that. The Americans have been here and they made a lot of mistakes. The current situation is their fault. Why replace a regime by something even worse? This is what happened after 2003. The Americans deposed a dictator. But under Saddam Hussein at least we had security and work. And what do we have now? Confusion, anarchy and chaos. The same thing has happened in Libya and Syria. If you want to change the situation here you have to educate the people in the schools, media and mosques in matters of freedom, democracy and the construction of their own country. Q: But wasn’t it only like that because Saddam held the different groups together with an iron fist? 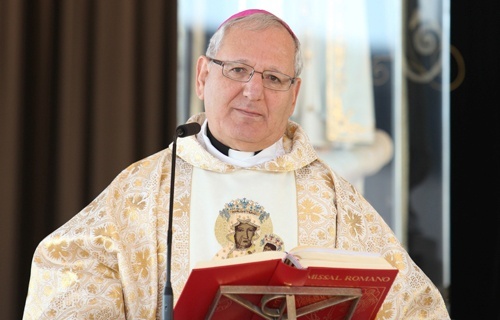 Patriarch Sako: Perhaps in the present context we need in the Middle East a strong leader who is at the same time just and not only looking out for his family or tribe.